You do not have to plead guilty to your Homewood, Alabama traffic charge. It may seem like the thing to do to make the charge go away, but the charge will still add points to your driver's license. If you continue to add points to your license, you will eventually face some problems. Some of these problems could be driver's license suspension, fines, court costs, increased insurance rates, loss of your job, and not being able to obtain a job because of your driving record. These are serious affects of pleading guilty to a traffic charge. If you have a commercial driver's license (CDL) then the problems you might face are more serious. Call Kreps TODAY at (866) 348-2889 or CLICK HERE and let us fight your traffic charge so you can avoid future problems. 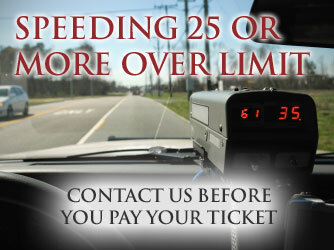 We know that you will have many questions throughout the process of fighting your Homewood, Alabama traffic charge. Our answering service is available to assist you all day every day. We are passionate and knowledgeable about what we do. Our attorneys can help you fight your traffic charge and get you favorable results. We understand what you are going through. At Kreps Law Firm, LLC, we truly care about our clients and their cases. Our attorneys and staff will spend hours and hours going over every detail of your case and preparing your case and file. We will do everything in our power to get positive results for your Homewood, Alabama traffic case.